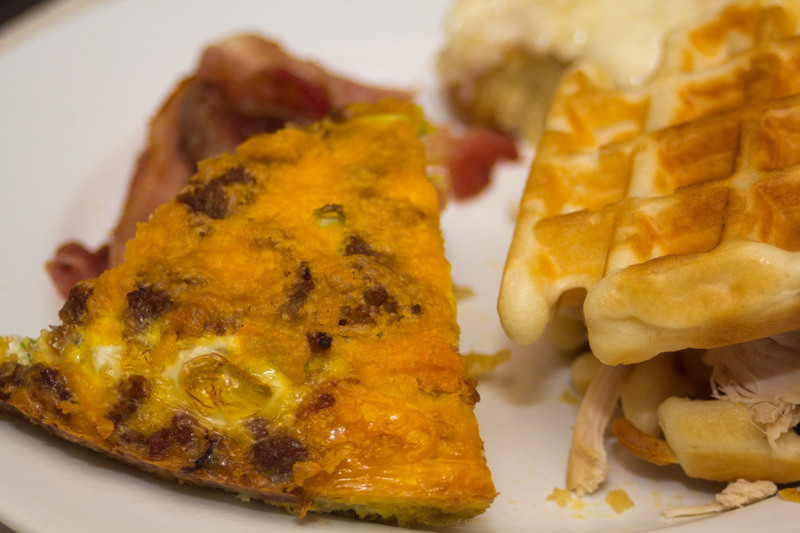 The Bachelor’s Breakfast Quiche (pronounced “Keesh”) is an excellent mixture of all your breakfast proteins, with a crust of hash-browns. It’s like a grand-slam meal all baked in a pie dish. In a pan begin to fry the bacon and brown the sausage. In a bowl crack all your eggs and then whisk them until its all yellow. Spread out a layer of hash browns into a greased pie pan (spray it with non-stick spray). Note: You can make the layer of hash browns as thick as you’d like. I made it about 3/4 of an inch (give or take). 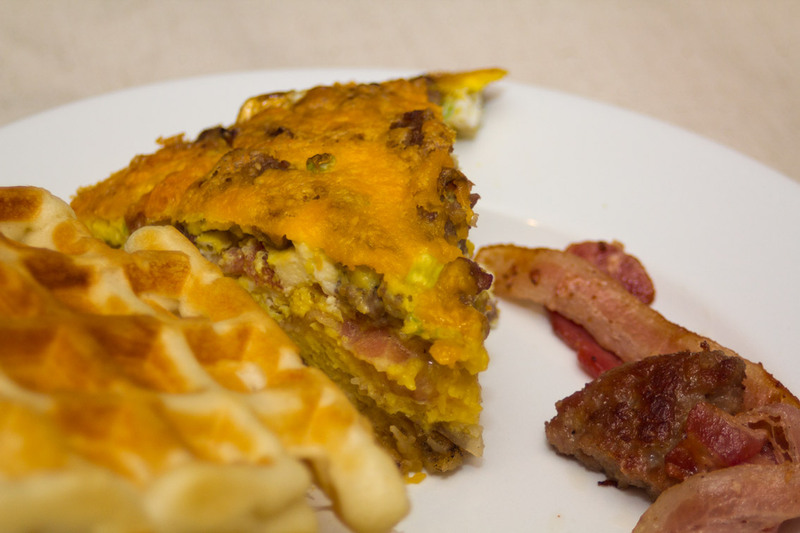 Now take your bacon and make a layer of it on top of the hash browns. Pour the egg over the bacon. Sprinkle the sausage in and throughout. 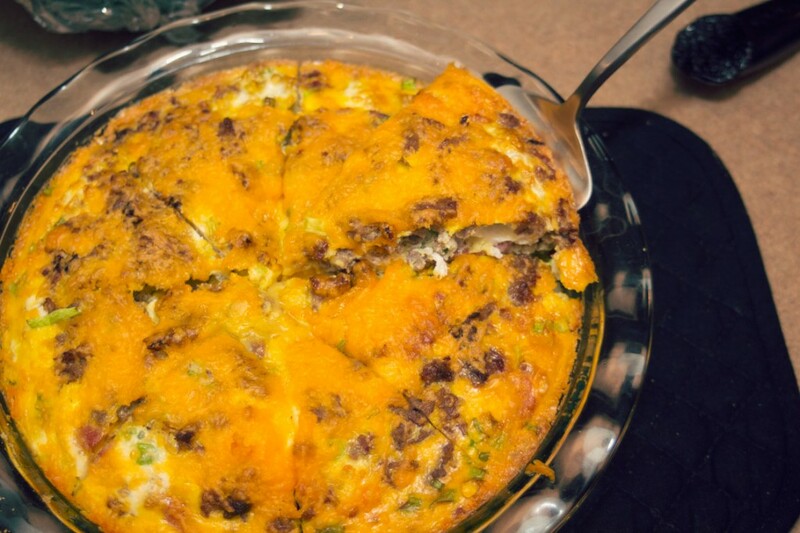 Continue baking for another 10 minutes or so (until you can cut into the quiche and the eggs are not runny). This makes great breakfast left-overs. Make it on a Saturday when you have the time and eat from it all week as your run out the door and need something protein-packed that’s quick. Just warm it up either in the oven or microwave. 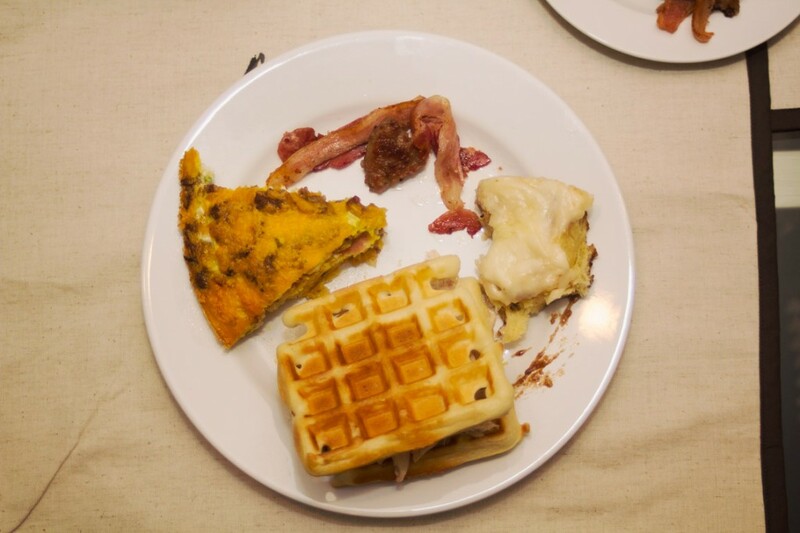 I served this Breakfast Quiche with Waffles, Bacon, Sausage, and Cinnamon Rolls. You can add or subtract things to make it your own. 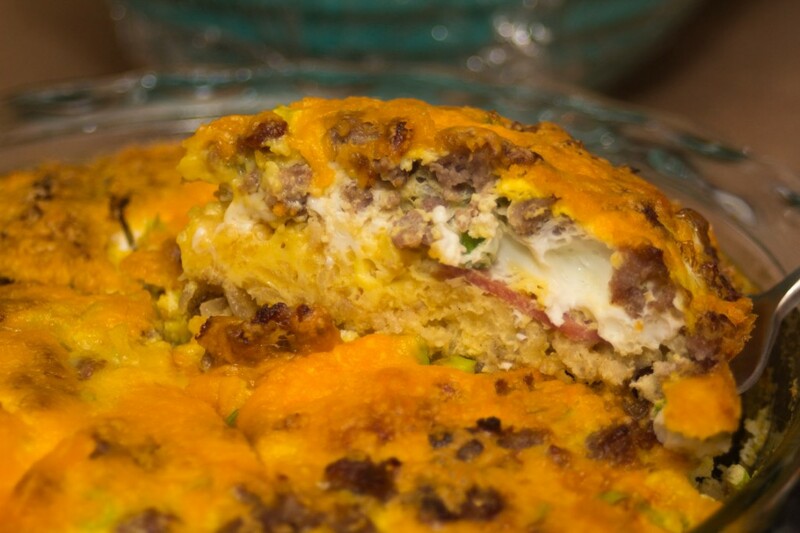 Traditionally a quiche like this would be served in a pastry crust instead of hash-browns–but Bachelor Cooking has their own way of doing things. Bookmark Bachelor Cooking and visit often to catch our weekly update of new recipes.